[Post-dated post]. Literally just came back from Hong Kong a day and a half ago but I’m already missing it. 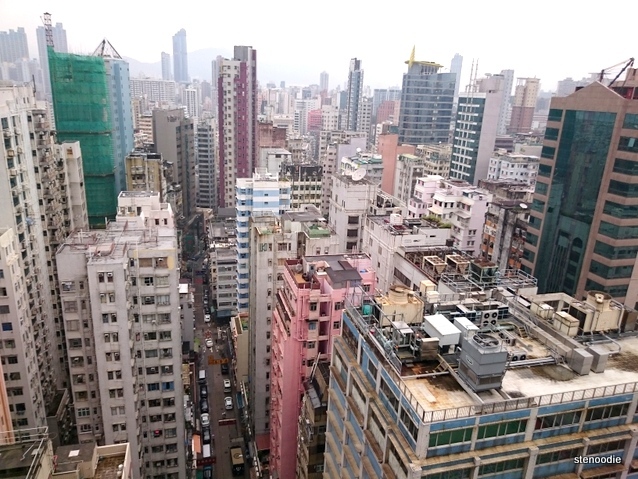 This photo is of the Hong Kong skyscrapers and buildings from the 18th floor of the BP International Hotel in Tsim Sha Tsui. Although I go to Hong Kong relatively often — about once a year — looking back at this photo, I really want to be back there again. This photo brings up the feelings of nostalgia in HK. This entry was posted in Weekly Photo Challenge and tagged 18th floor of the BP International Hotel in Tsim Sha Tsui, Hong Kong views, nostalgia, postaday, weekly photo challenge. Bookmark the permalink.